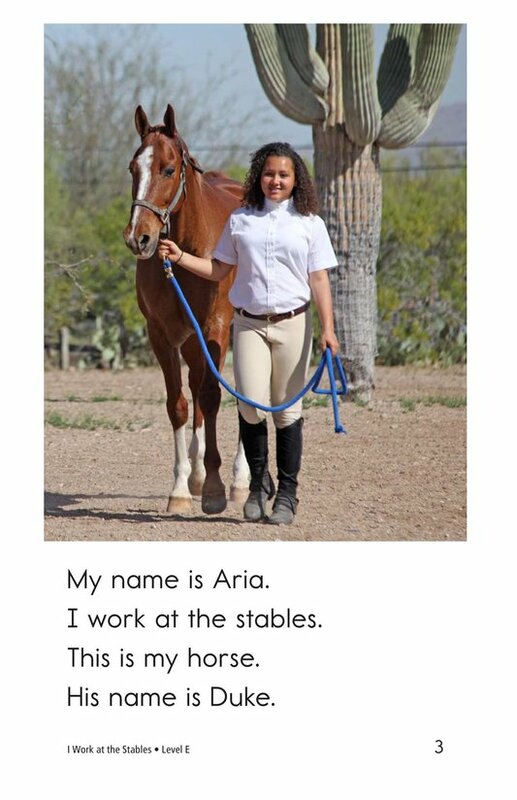 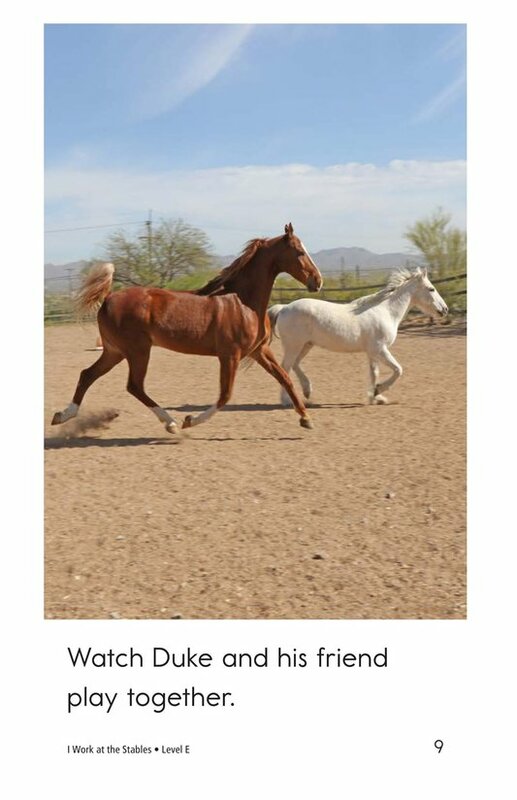 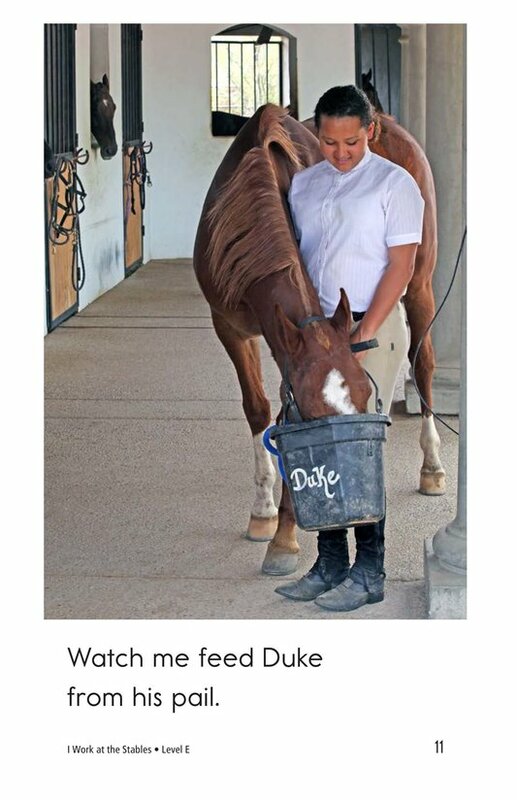 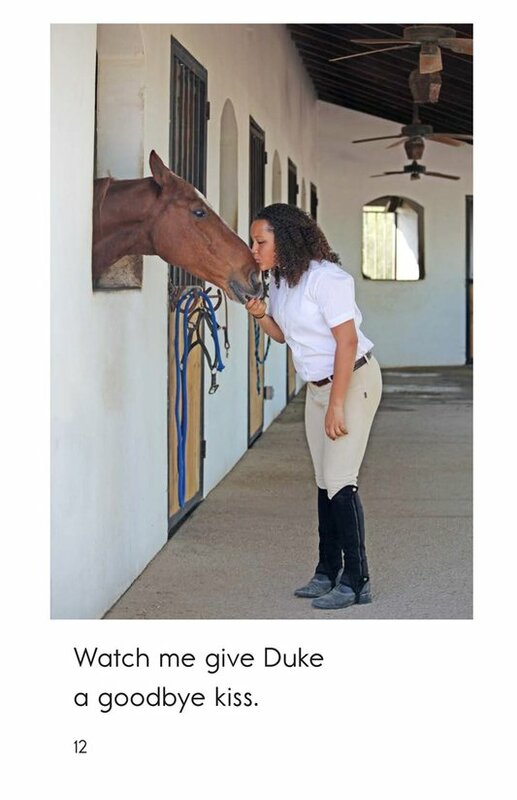 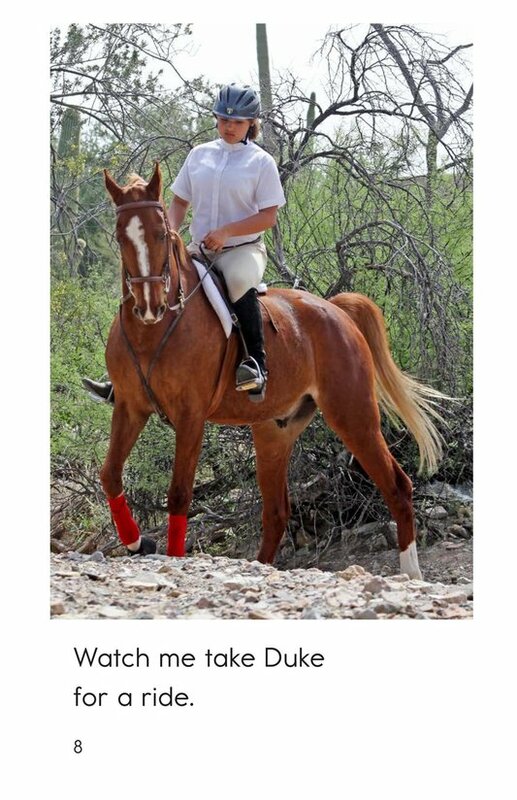 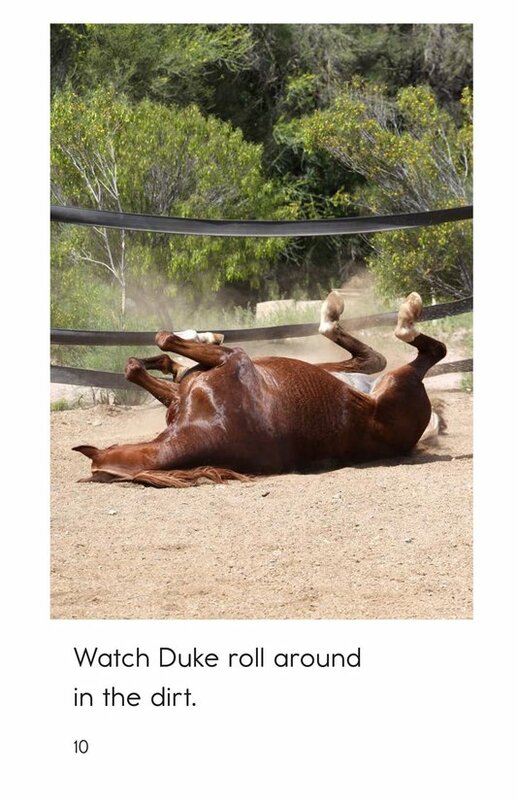 Aria works at a stable where she takes care of Duke, her horse. 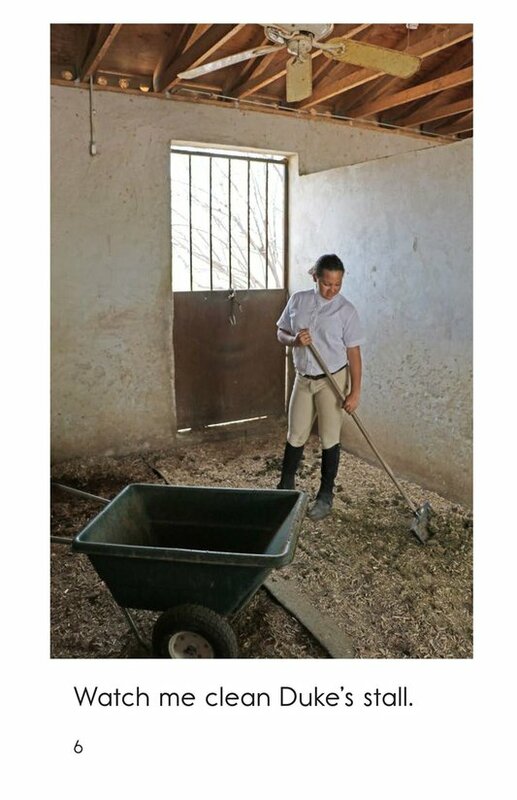 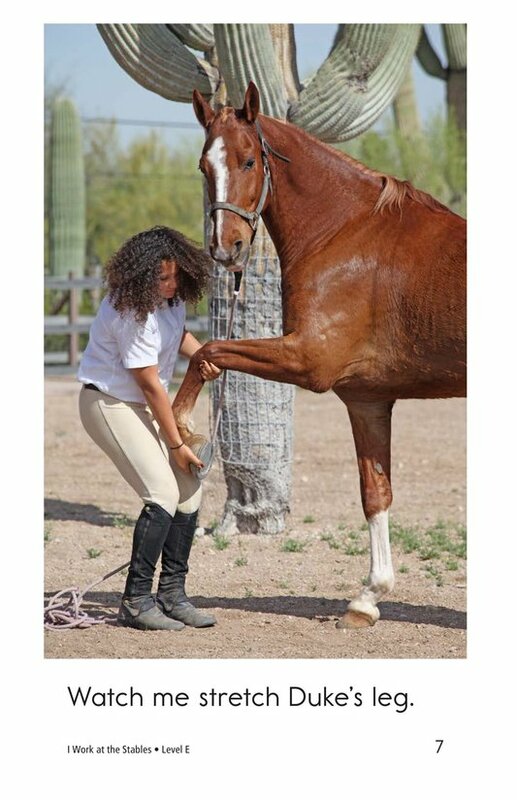 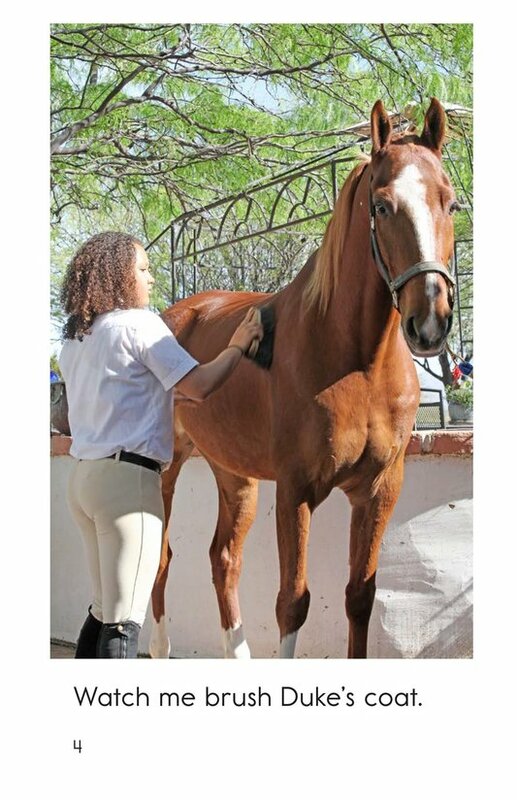 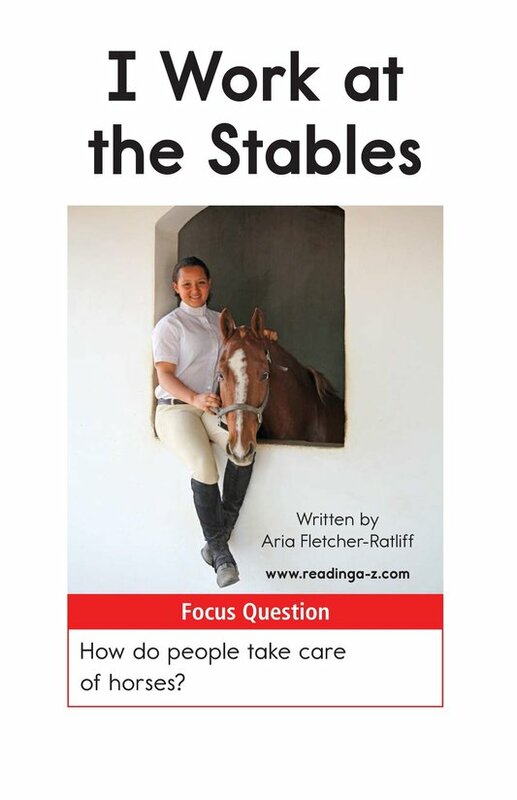 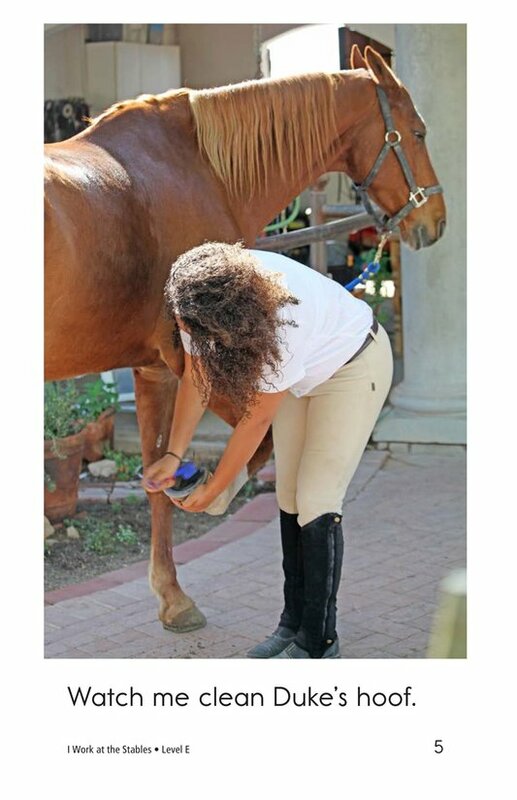 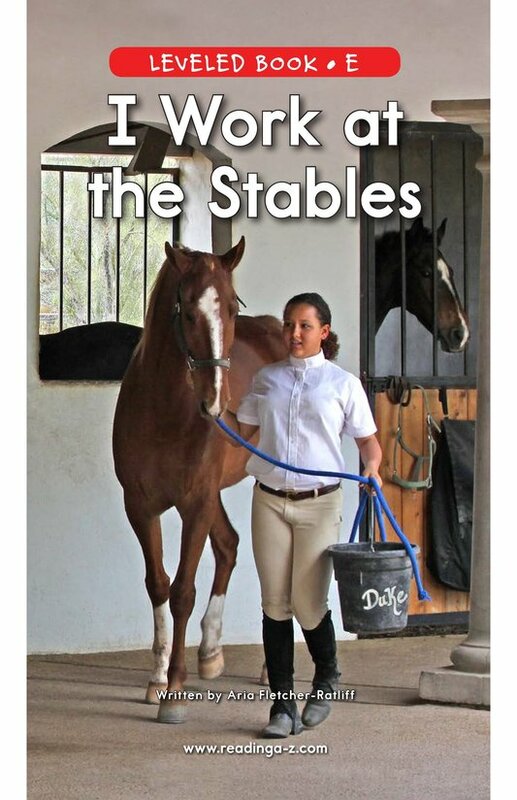 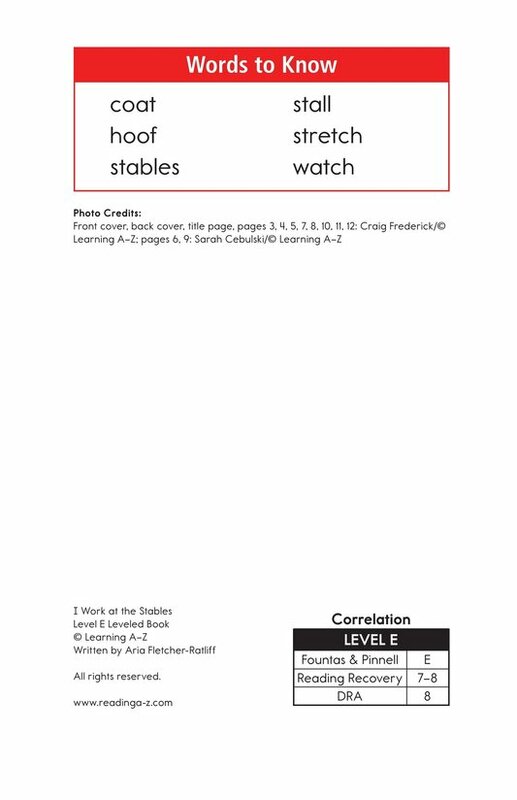 I Work at the Stables provides students an inside look into the tasks that are required to care for a horse. 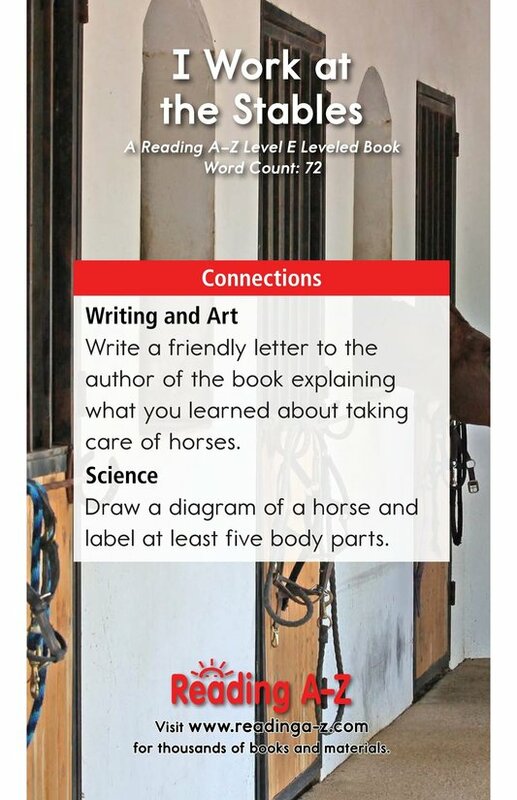 The book can also be used to teach students how to determine main idea and details and to recognize and use capitalization correctly.